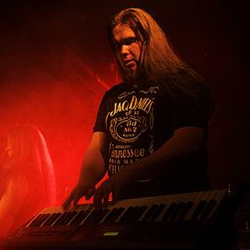 We've decided to take the keyboards back to our music, so we want to welcome Jussi Sauvola from Silent Threnody and Decrowned to join the band. His profile can be found @ Jussi Sauvola @ Catamenia Profiles. Welcome to Cata-family, Jussi!